This is a hot pepper-flavored oil for sautéing and stir-frying. It adds additional flavor to vegetables and meat. Simply splash a little in your hot wok or sauté pan and cook as normal. 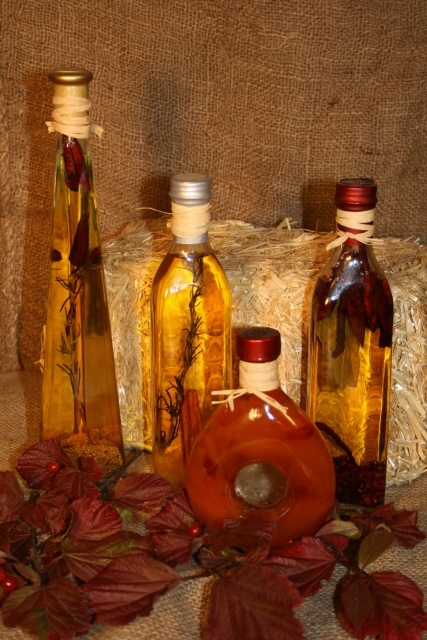 It is a beautifully deep red colored oil from the volatile oils from the chili and paprika. Add dry ingredients to heated frying pan. Stir while waiting for the powders to heat and begin releasing their oils. When you smell the strong smell of the chili powders, add the oil and continue heating until oil is heated through. Remove from heat and set aside to cool and allow powders to settle out. Decant oil from frying pan, through fine sieve, into the narrowest and tallest bottle you have. Set in quiet area to allow further settling of sediment. After 1 or 2 weeks, decant oil into final bottle.